When the Oscars are broadcast on Sunday, February 28, there will be some familiar faces from Broadway. And on Broadway this season, there will be familiar faces from Hollywood. The dizzying back-and-forth between stage and screen dates back to before the Academy Awards even existed, and it has stepped up steadily. During the past two decades, almost half of the Best Musical Tony winners have been based on movies. And some of the most beloved movie musicals of all time have been adapted from Broadway, including Best Picture Oscar winners West Side Story, My Fair Lady, The Sound of Music and Chicago. 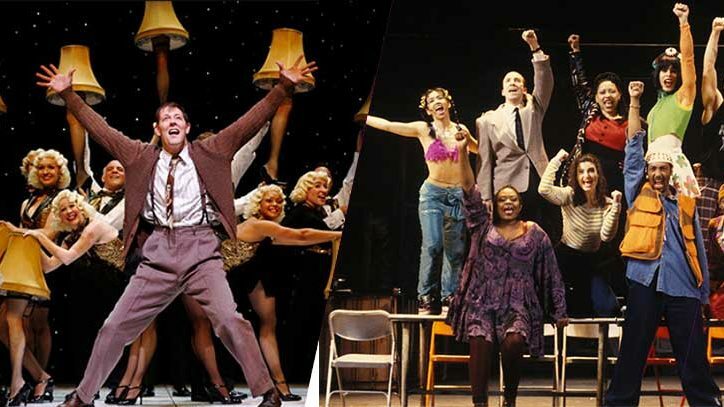 Of the 15 top-grossing Broadway musicals of all time, 12 were either based on movies or eventually made into movies — or, as in the case of The Producers, both. Due to open in the spring is Waitress, based on the 2007 movie, and American Psycho, which is based on a novel that was made into a movie in 2000. Scheduled for the fall: Holiday Inn, based on the 1942 movie featuring the songs of Irving Berlin (which won an Oscar for the song “White Christmas”). But one musical that’s opening in March is as much about the movies as it is based on them. Disaster! is a parody of all those disaster movies from the 1970s, a surprising number of which won Academy Awards. Helen Hayes, better known, of course, as a theater actress, won the Oscar in 1970 for her role in Airport, about an airport hit by a massive snowstorm and threatened by a disgruntled, explosive-carrying Van Heflin. The film was also nominated for Best Picture. The Poseidon Adventure, about a passenger ship flooded by a tidal wave, was nominated for nine Oscars in 1972, and won two. And The Towering Inferno was nominated for eight Oscars and won three in 1974, the same year that Earthquake was nominated for five and won two. 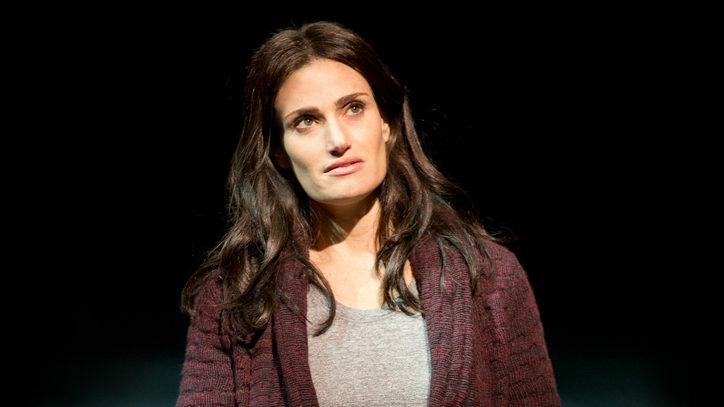 Of the 20 performers nominated for Oscars this year, seven have performed (or are soon to perform) on Broadway. (Last year, it was 11 out of 20.) 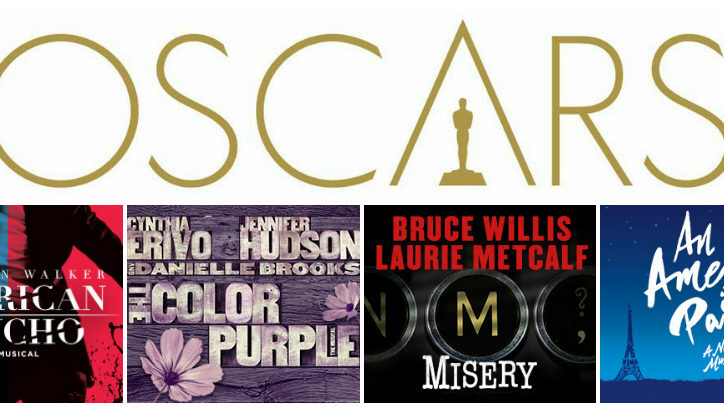 Several of this year’s Oscar nominees have also been Broadway producers. Bryan Cranston, nominated for Trumbo, won the Tony Award for his role as Lyndon Johnson in All the Way in 2014. He is also a producer of Finding Neverland. Eddie Redmayne, nominated for The Danish Girl, won a Tony Award for his role in Red on Broadway in 2010. Cate Blanchett, nominated for Carol, is scheduled to make her Broadway debut in a play called The Present at the end of 2016. Saoirse Ronan, nominated for Brooklyn, is about to make her Broadway debut in The Crucible. Mark Ruffalo, nominated for Spotlight, performed on Broadway in Awake and Sing in 2006. Mark Rylance, nominated for Bridge of Spies, has performed in five Broadway productions: Boeing-Boeing in 2008 (for which he won his first Tony Award), La Bete in 2010, Jerusalem in 2011 (his second Tony), and Richard III and Twelfth Night (his third Tony) in 2013. He will be appearing on stage this month in a new play entitled Nice Fish at St. Ann’s Warehouse in Brooklyn. Sylvester Stallone, nominated for Creed, has not performed on Broadway, but he did produce and write the book for the 2014 musical Rocky. Jennifer Jason Leigh, nominated for The Hateful Eight, has performed in three Broadway productions: Cabaret (1998), Proof (2001), and The House of Blue Leaves (2011). Forest Whitaker, who won an Academy Award for his performance as Ugandan dictator Idi Amin in the 2006 film The Last King of Scotland, is making his Broadway debut starring in Hughie, the one-act play by Eugene O’Neill that’s opening at the Booth Theatre February 25. Lupita Nyong’o, who won an Oscar for her performance in the 2013 film 12 Years a Slave, will be making her Broadway debut in Eclipsed, which is opening March 6 at the Golden Theatre. Michelle Williams, who is costarring with Jeff Daniels in Blackbird, which is opening at the Belasco Theater in March, has been nominated three times for Academy Awards — for My Week with Marilyn, Blue Valentine, and Brokeback Mountain. Frank Langella, who was nominated for an Oscar for Frost/Nixon, will star in a new play entitled The Father, opening at the Samuel J. Friedman Theatre in April. Jessica Lange, who has won two Oscars (one for Tootsie, the other for Blue Sky), and Michael Shannon, who was nominated for an Oscar for Revolutionary Road, are performing in a revival of Eugene O’Neill’s Long Day’s Journey Into Night, which is set to open at the American Airlines Theatre in April.